HARLEM (WABC) -- Intense smoke from a fire in Harlem on Saturday afternoon has left two people fighting for their lives. Flames broke out on the 11th floor of a building in the King Towers Complex in Harlem about 4:25 p.m. 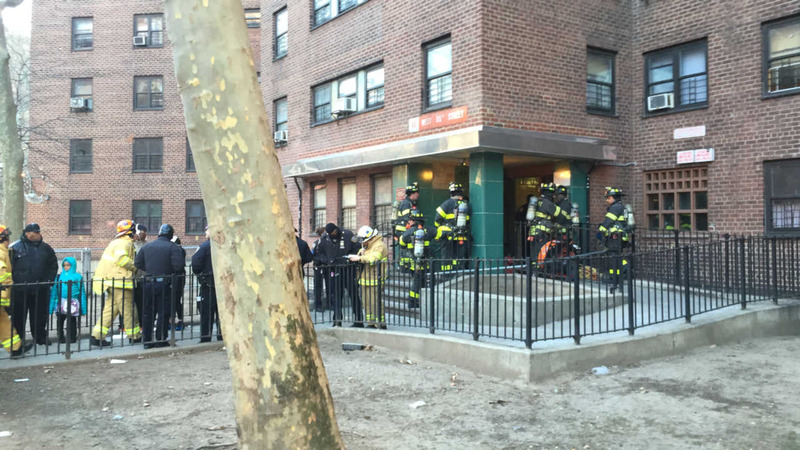 The FDNY says a woman and a child suffered smoke inhalation and are in critical condition at Harlem Hospital. Fire Marshals say the fire was caused by a candle.